The TIDAL Akira. The second to none game changer, worldwide universally overwhelming praised smaller sister of the mighty TIDAL La Assoluta. 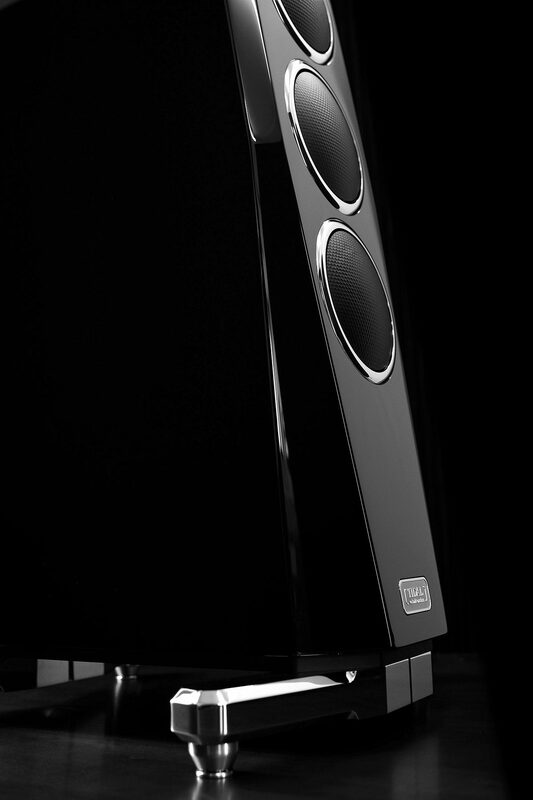 Built for the absolute approach in a decent sized design. "...cut after cut, the Akiras elicited from me that elusive "ah-ha" moment of clarity, that point in the performance where I felt I could genuinely divine the deeper intent of the musicians, recording engineer, and composer. Think of the Akiras as time machines that defy the Laws of Physics by taking you back to the recorded event across multiple intersecting vectors." 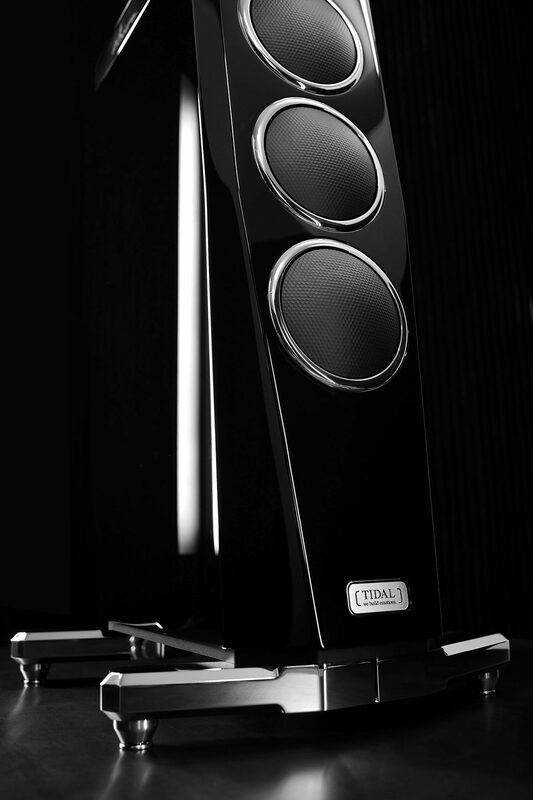 The cabinet of the TIDAL Akira is made out of TIDAL's proprietary cabinet material TIRALIT™. This cabinet material combines the rigidity of hard materials such as metal with the resonance absorbing behavior of softer materials such as wooden materials like MDF. 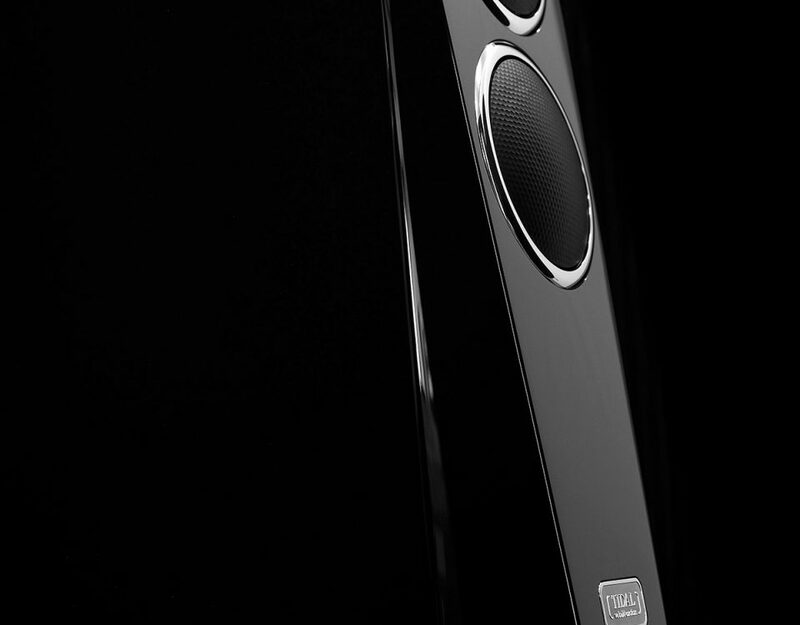 While TIRADUR is 30mm thick, TIRALIT goes even further and is 42mm thick and combines more single layers. 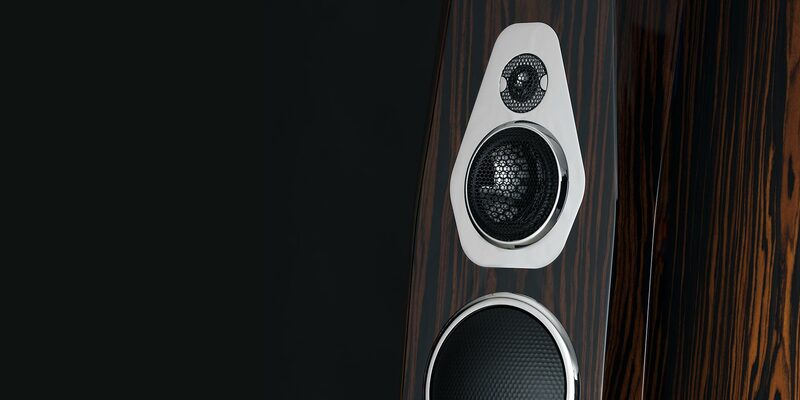 The materials itself, the process of making it and how the material reacts when it is getting excited by vibrations and resonances - all this we put into consideration when we designed it. 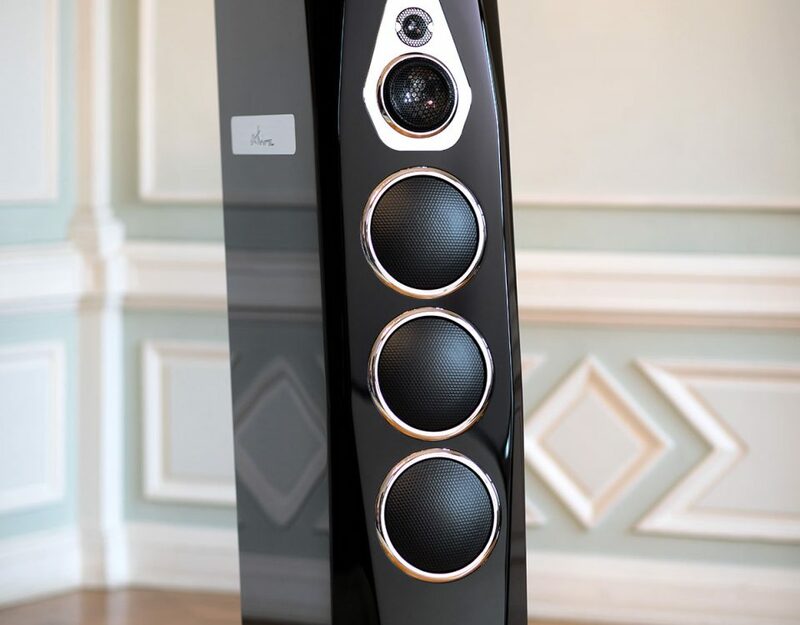 The TIDAL Akira is using the same diamond tweeter technology as the big La Assoluta, it is a 1 carat pure diamond diaphragm tweeter with 30mm diameter (1.2"). 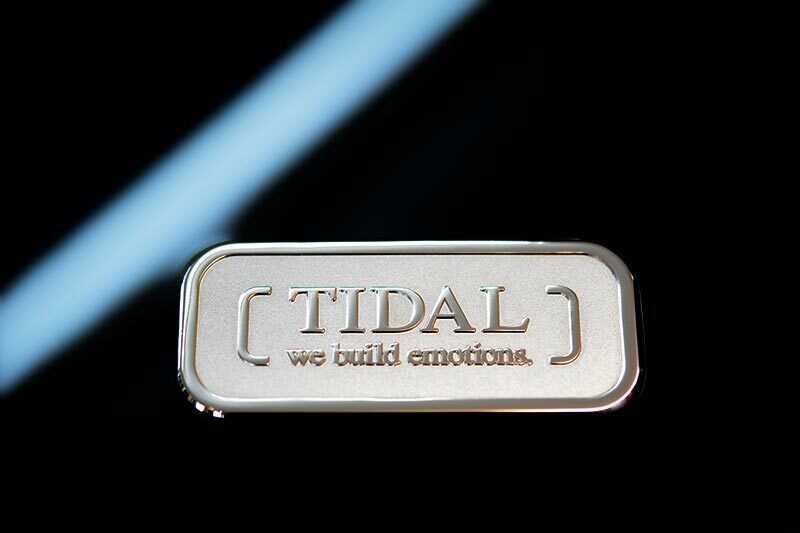 Not only it is the biggest diamond tweeter in the world, TIDAL also was the very first company to use a 30mm diamond tweeter. 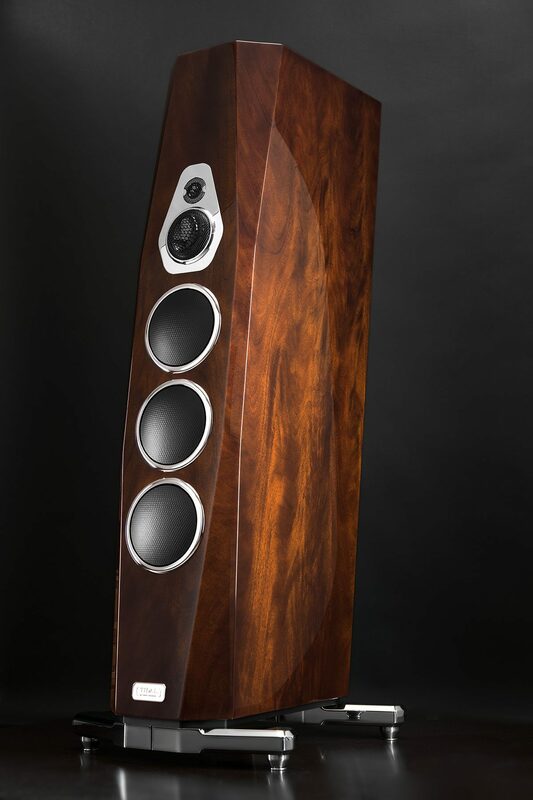 The driver already offers already terrific qualities and is installed in a massive housing of polished stainless steel for optimized resonance control - only in combination with our unique TIDAL crossovers this driver can perform in way what we have become famous for. 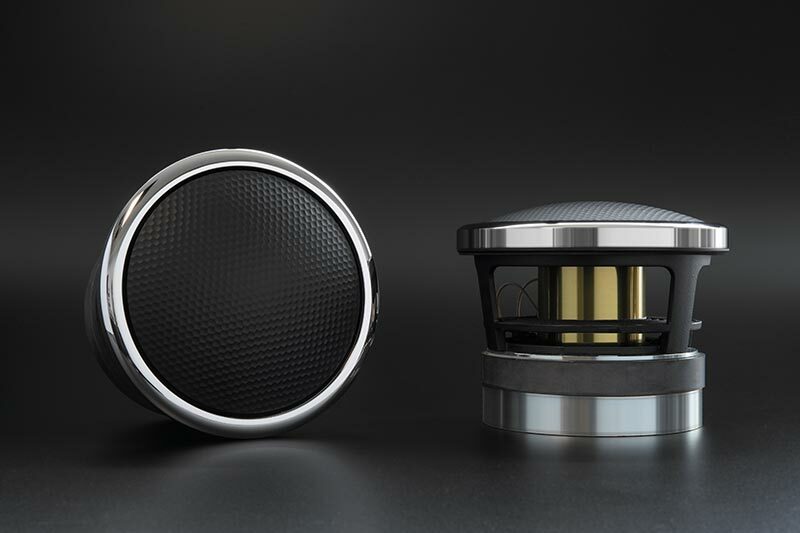 As a side note, it may be interesting to know that this very same diamond tweeter technology is being used in one of the worlds most exclusive car, the Bugatti Chiron. 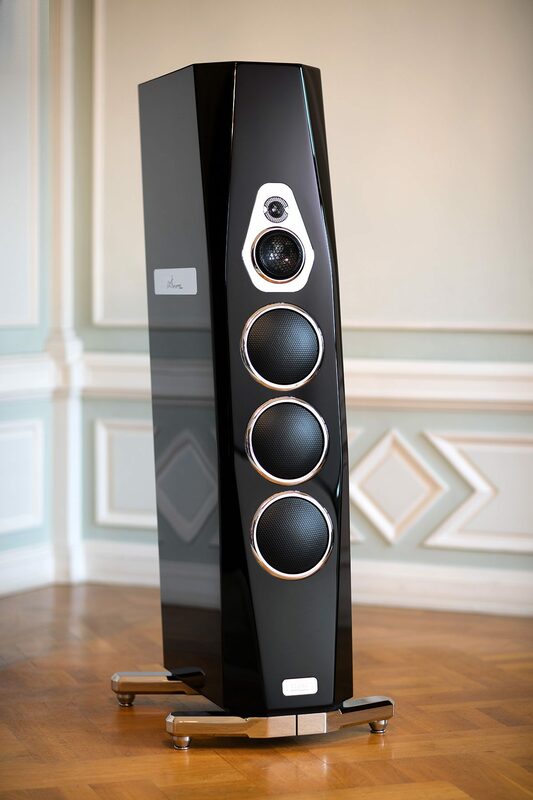 TIDAL's exclusive 13cm (5") midrange woofer is the result of the Accuton TIDAL cooperation for more than 14 years and is to find only in TIDAL speakers, Akira and La Assoluta. 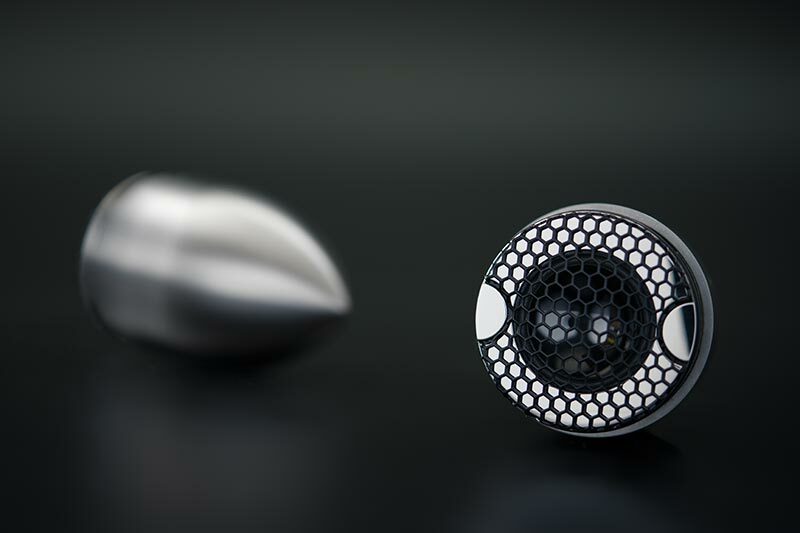 The diaphragm itself is made out of pure diamond. And with that we do not mean 'diamond coated'. No, we mean the real thing: 13 carat pure diamond thru and thru, the hardest material on earth. It works like an ideal piston, free of resonances and has the best heat-sinking capability of all materials as well. 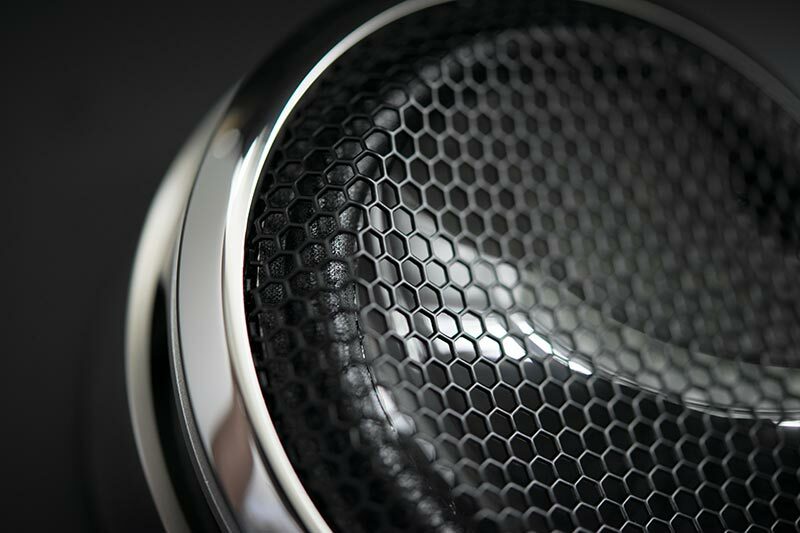 Therefore the huge voicecoil is also perfectly cooled all the time and does not change its parameters. 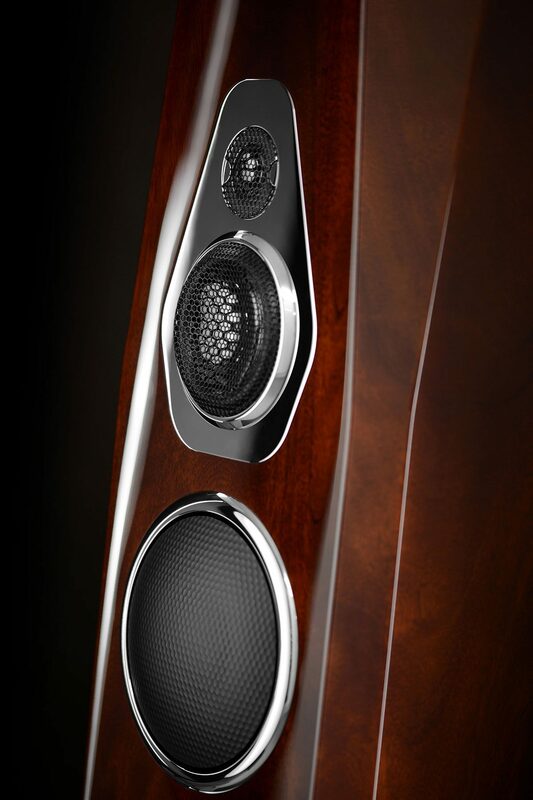 First time ever and exclusive in TIDAL speakers one can use this material to reproduce way lower frequencies than ever before, since this driver has not only the biggest diamond diaphragm on earth, but also it can move 7 mm, so we are talking about a driver covering frequencies from 100 Hz and playing perfectly all the way up to the diamond tweeter. 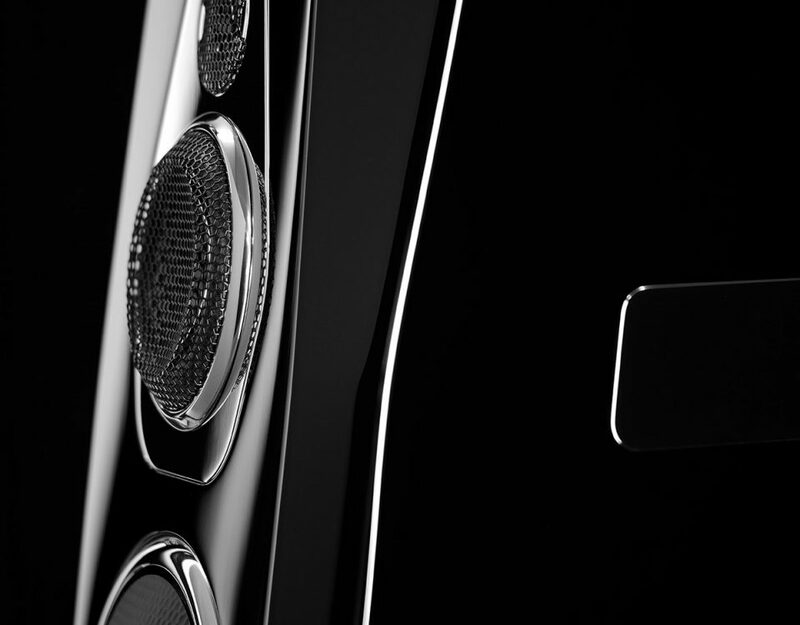 This driver not only is second to none in all its details and design, much more important: the result is. 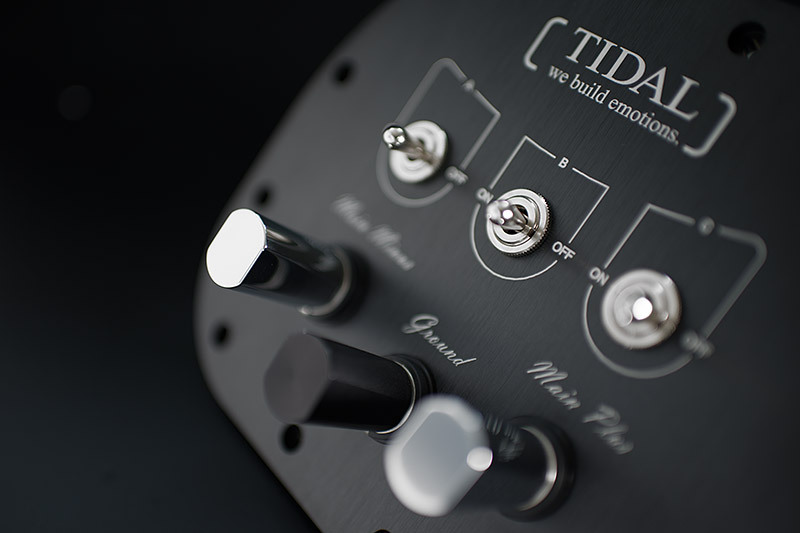 The TIDAL Akira is designed to play ultra-precise even at the deepest frequencies. 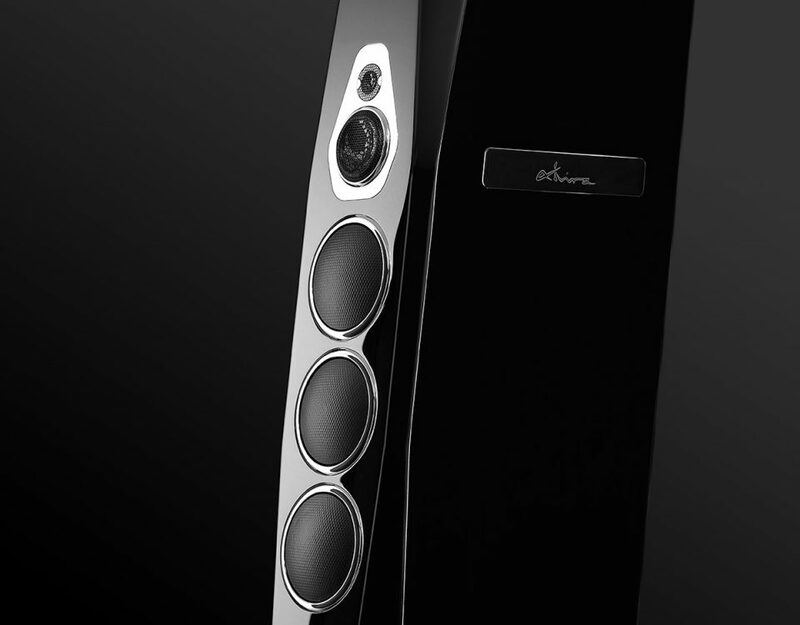 Each Akira is equipped at the backside with five long excursion passive radiators to support support the front firing woofers with a very deep and low distortion reproduction of bass frequencies without any kind of movement noise. 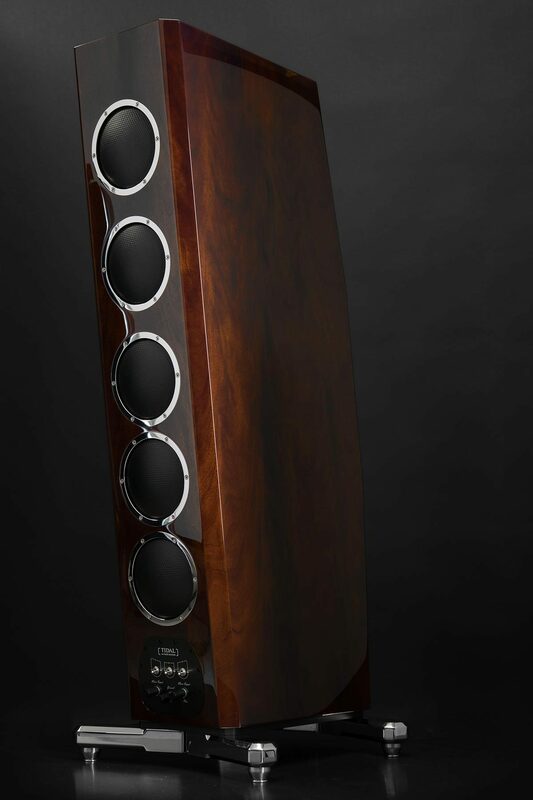 With this special configuration we do excite the bass modes very evenly within the room from all together 16 sources (2 x 3 front woofers and 2 x 5 backside passive radiators), therefore the bass and deep bass reproduction as far less critical to the room like with other designs. 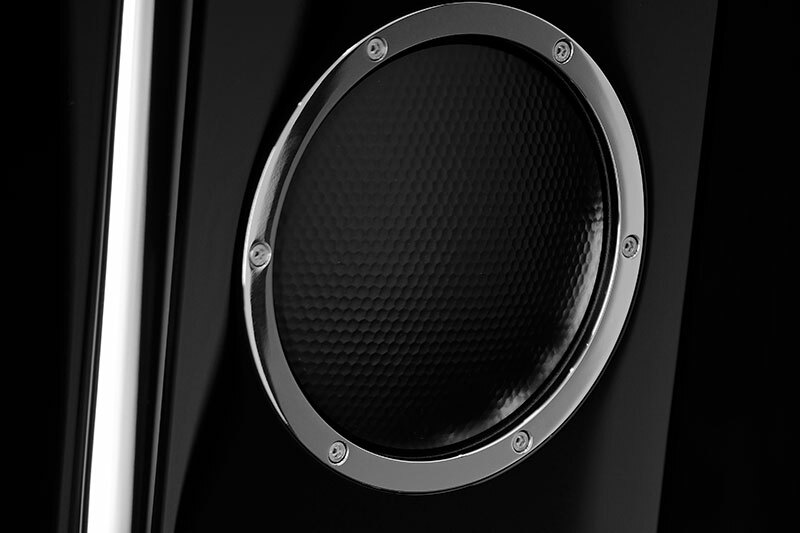 Here as well our polished stainless steel rings are not only our famous detail - and we cherish the details - it is designed to clamp the drivers absolutely tight into the TIRALIT cabinet. 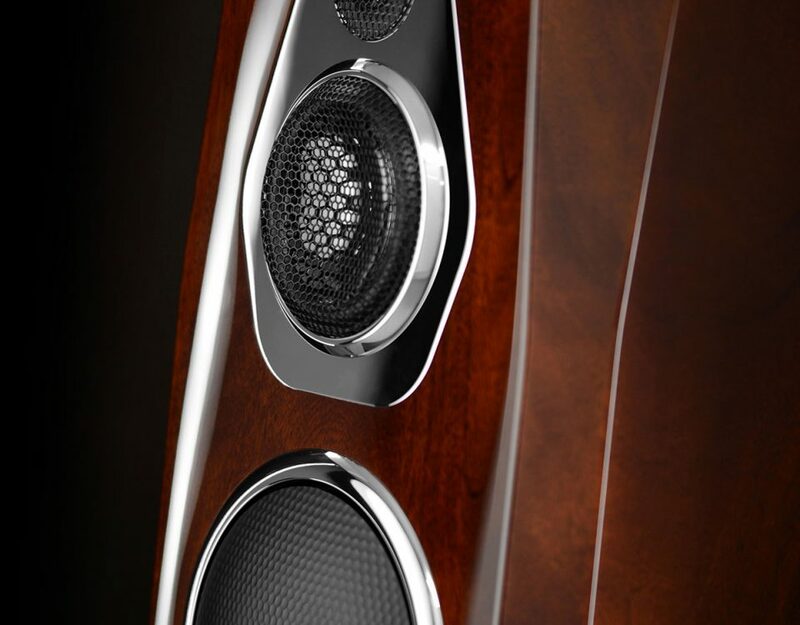 Our guiding principle is to present our customers with the highest possible degree of reality in musical rendition. 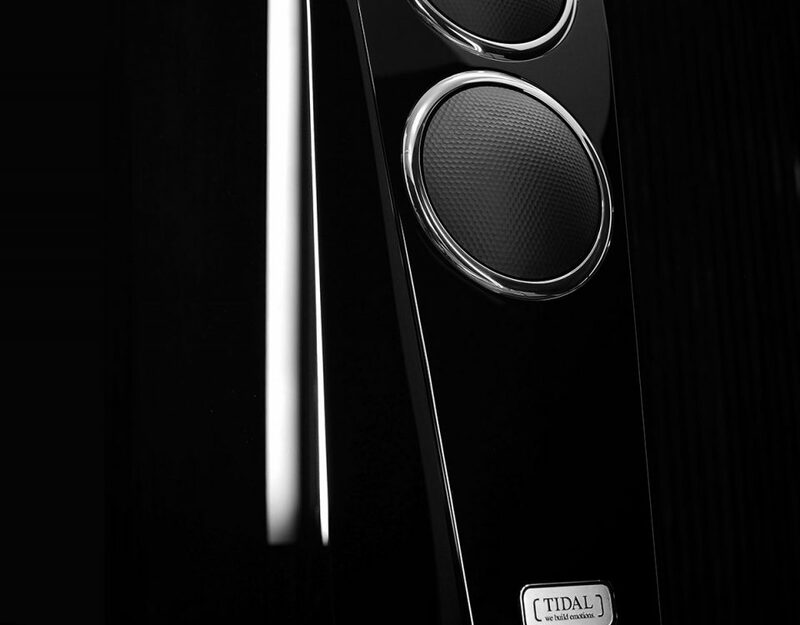 Anything less is already amply available but does not meet TIDAL's demands. That is why literally every component is evaluated with extreme scrutiny and selected with the understanding that it has to be the one without alternative for its specific purpose. 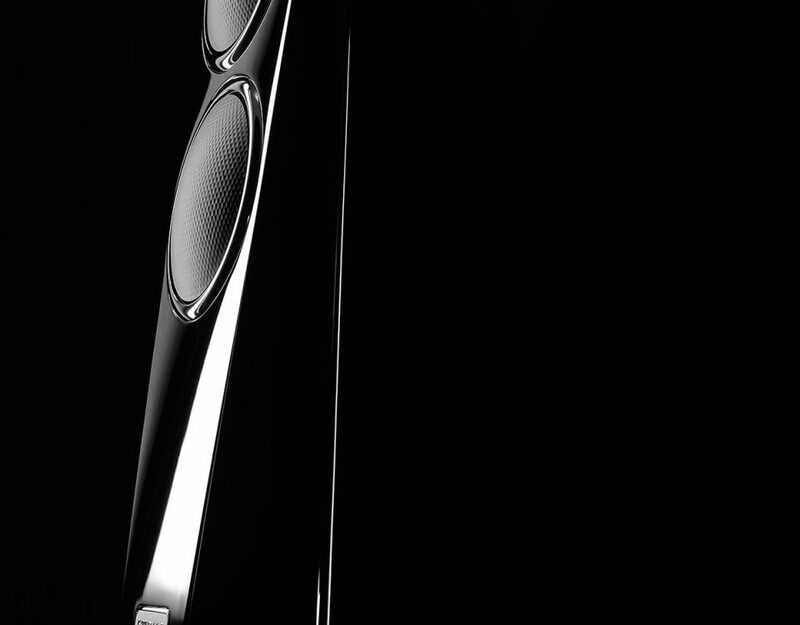 Like all TIDAL loudspeakers, the Akira has our unique pure silver binding posts. 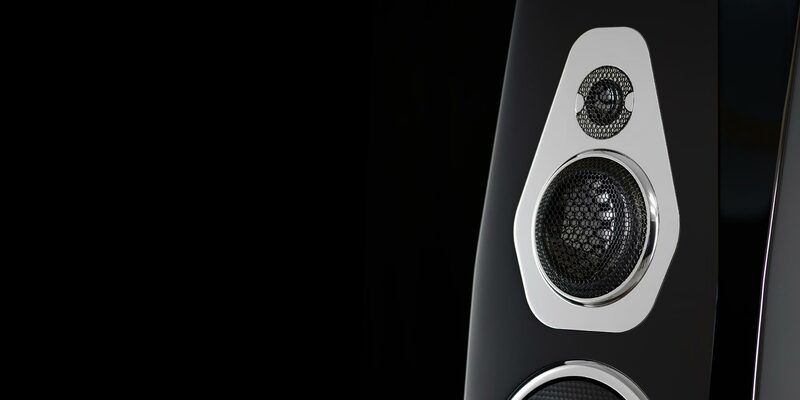 The complex construction is of a fibre-reinforced polymeric material that avoids any inductive electromagnetic field. 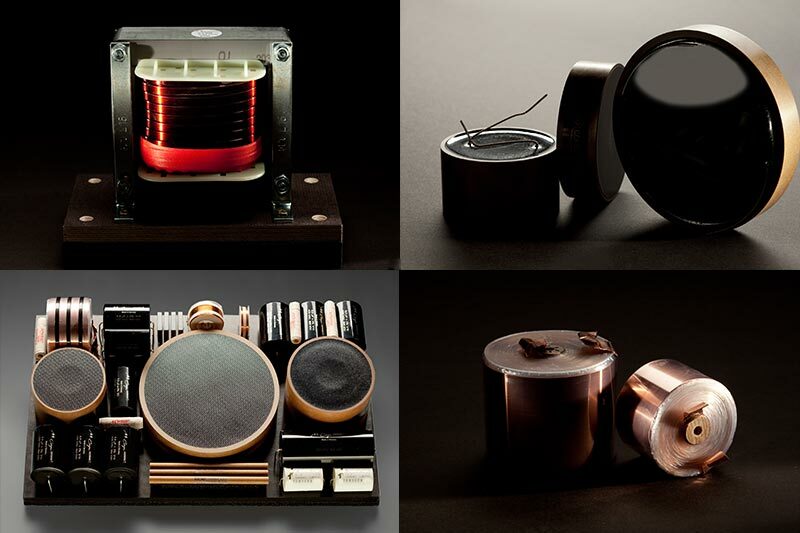 As a conductor we use pure silver to guarantee the least resistance and no loss nor change of the incoming music signal. 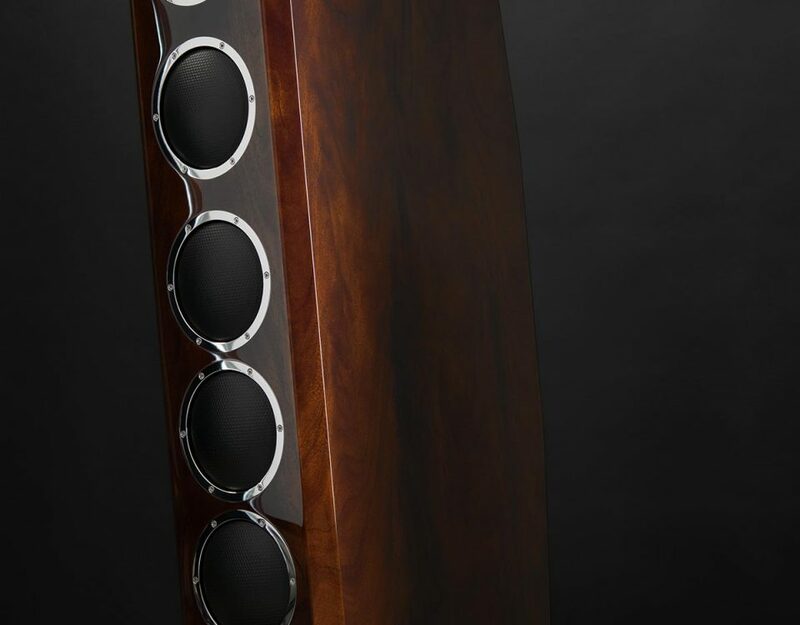 The massive metal feel of the knobs comes from that it is hand polished and structured aluminum over an isolating part out of another polymer. 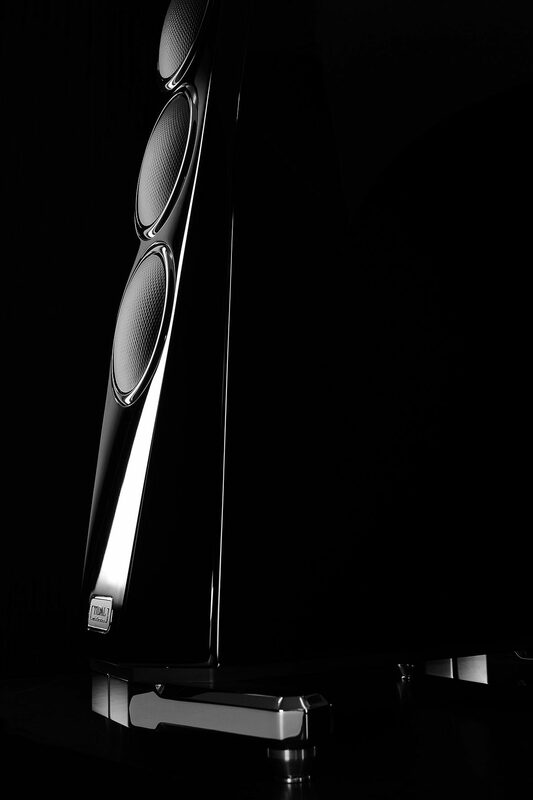 The Akira is designed to be connected in single amp mode without compromise. The complex internal passive crossover takes care of anything else. 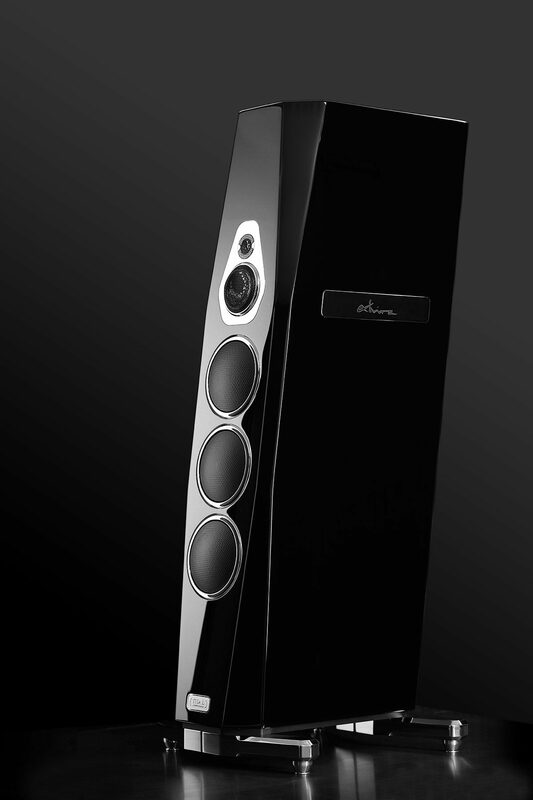 As an option the Akira offers the possibility for electrical grounding. 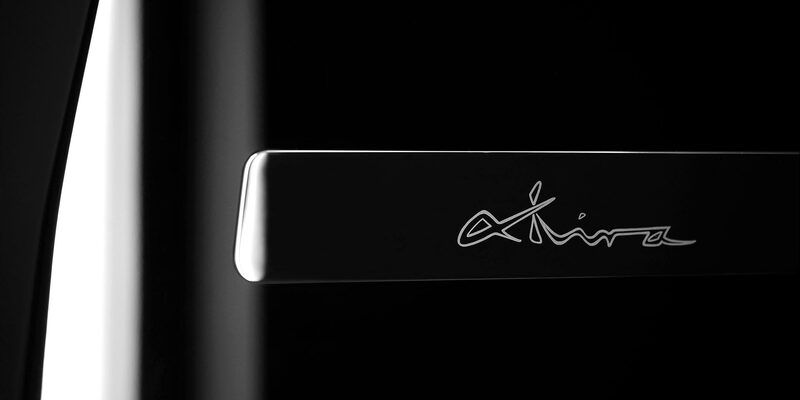 The Akira is mounted onto 4 massive stainless steel trigger bars. 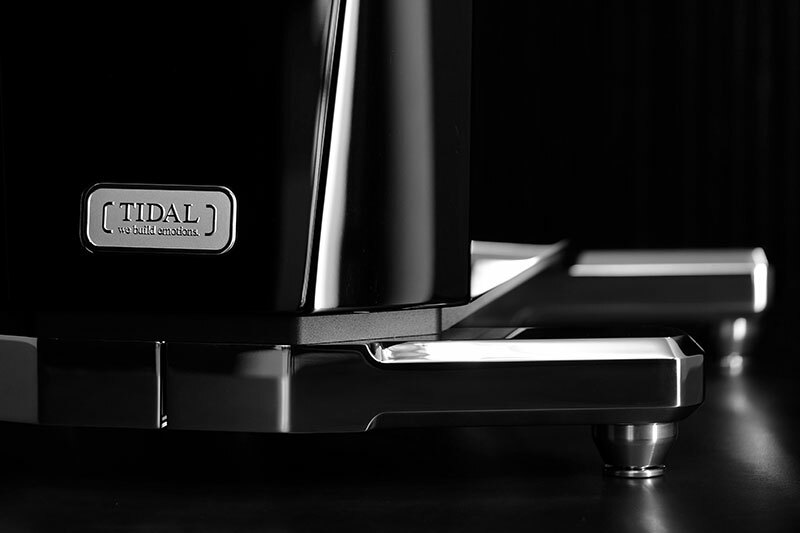 Each bar is milled out of a block of the highest grade stainless steel and is polished completely by hand to a high gloss, since there is no machine able of this. Given the whopping weight of 8 Kg per feet (almost 18 lbs. 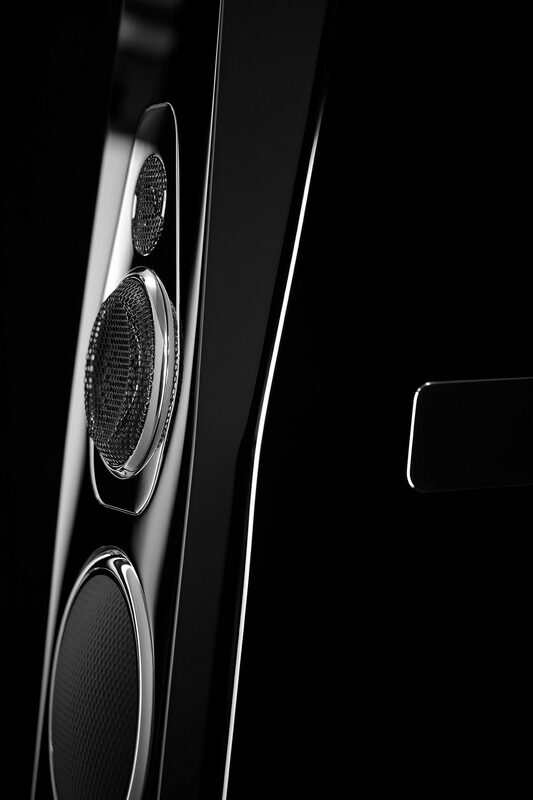 ), and the delicate process of polishing this material flawlessly to the highest possible degree, is another example of the unique effort behind each detail of this TIDAL masterpiece. The sheer mass of all together 40 Kg (88 lbs. 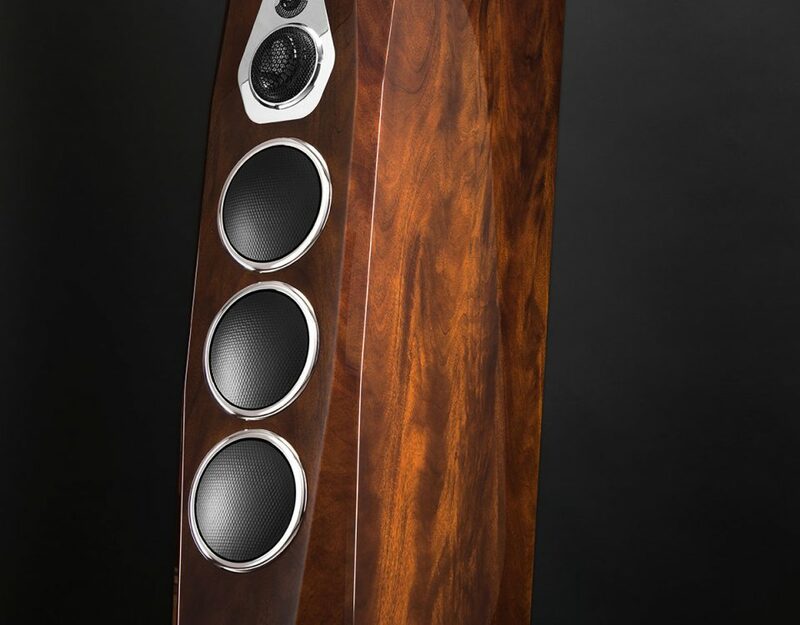 ), including the aluminum bottom plate, underneath the speaker itself as a complete base itself does support the Akira with a rock solid stand for an ultra-precise reproduction of even the most tender micro information of the music itself.